Fewer flames, a smaller sign, and now without “internal illumination”. This is the new, more modest BBQ Express. Those Wanstead residents who expressed discomfort with the previous version may well feel somewhat satisfied. Thank goodness for that! And thank goodness for public opinion! But where’s the old sign gone? On its holidays to Vegas? Well it is an improvement. Thanks for listening to concerns about your sign and acting on them in a positive way. It’s as awful as the old sign only a bit smaller but then would anyone expect a leyton type fast food shop to have a ‘tasteful’ sign? Out of curiosity; how old are all of you?? I don’t know what all the fuss was, I was in bbq express over the weekend, i was v.impressed by the staff, the food was great and the place was a vast improvement on the old chicken spot. All I can say, grow up, just go in and try it the food your self and then comment. Infact , my last experience. Was so good I am going to take my children to BBQ Express next weekend. John is right – It’s much better than the Wanstead-type fast food outlet it replaced. I DONT SEE WHAT THE FUSS IS ABOUT …THE OLD SIGN WAS MUCH BETTER….I MAKES THE WHOLE AREA MODERN AND FASHIONABLE. 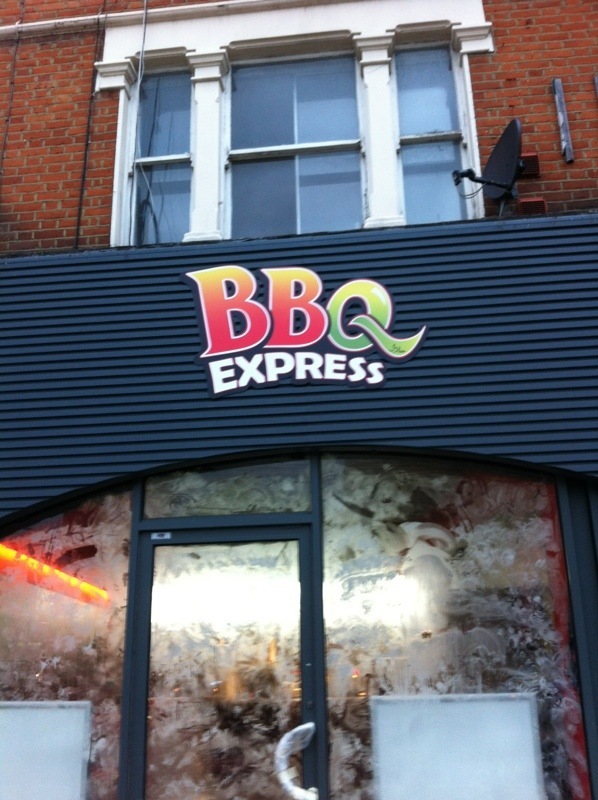 I WISH THE OWNERS CHANGE IT BACK… GREAT FOOD GREAT SERVICE THANK YOU BBQ EXPRESS FOR COMING TO WANSTEAD !!! Quite evident who on here truly appreciates the area, and who would actually be happier in Walthamstow. I shall not be patronising BBQ Express under any circumstances. If the “Boss” was to declare their meat was free range, humanely raised and dispatched, then I might reconsider. Absolutely no chance of that. Beware, it serves halal meat..
they did not cooperate and things dont happen on their own. 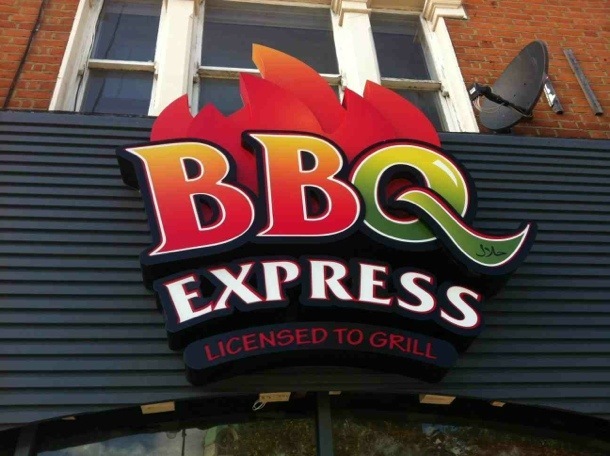 LBR tell me that BBQ Express said (came up with bull) that the new sign was for structural reasons and LBR enforcement swallowed that! the sign is still non-compliant as the fascia is overlarge and so the curved section should be removed.